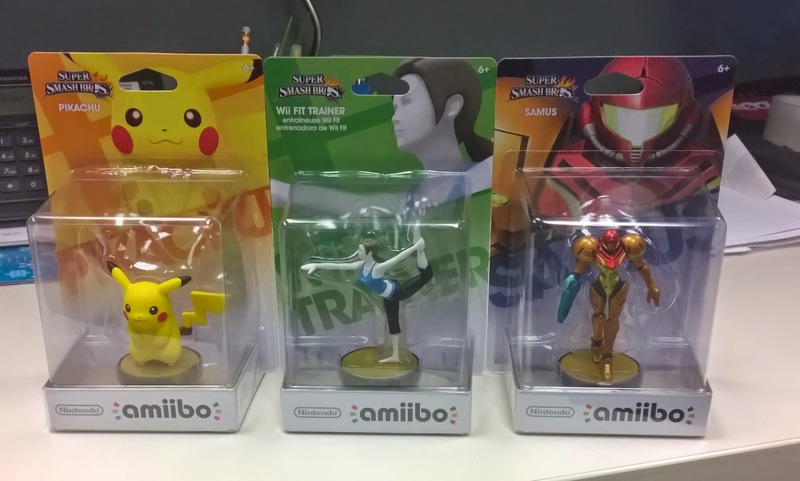 Around the time of E3 2014, Nintendo introduced their answer to the Skylanders and Disney Infinity; "amiibo"
"That's cute," I thought, "I'll probably grab Wii Fit Trainer (WFT), Zelda, and maybe Kirby. Maybe." We're now past the three month mark following the first wave of amiibo releases and my daily routine includes checking (and furiously refreshing) online retailer websites, browsing through amiibo forums, and getting tips from amiibo groups on Facebook. How did wanting a WFT turn into a "WTF?! WHAT DO YOU MEAN THEY'RE SOLD OUT?!" situation? Supply and demand? Sure. Scalpers? I hate that term, but probably. Nintendo underestimating their market? What else is new? But that's not the goal of this piece. This is my outlet for the sharing venting about my stories of grabbing these little pieces of plastic. And if you're wondering: yes, I have more than the 3 amiibos listed above. November 21, 2014: - The launch of Super Smash Bros. for Wii U and amiibo. I walked into Target early in the morning before work and decided to check out the little figures (Super Smash Bros. for Wii U was preordered). I saw nothing on the shelves so I asked a staff member about them. He totally forgot about them and was excited to open the boxes marked "DO NOT OPEN UNTIL 11/21/2014". He asked me if there were any specific figures I was looking for. I told him WFT and Kirby were the only ones from this wave I was interested in. He removed the figures from the boxes one by one. Peach Yoshi, Marth, Samus, Villager (he called him "this little guy"), Pikachu, Fox, and WFT were the only ones his store received. It was odd there was no Kirby and even odder was the lack of the Mario amiibo. I picked up Marth to inspect his face. At the time there were reports of how odd he looked. I passed on him--more on why I regret that shortly--but grabbed WFT for myself, as well as Pikachu and Samus for my roommates. My first (of many) amiibo. A couple weeks passed and I was reading reports about hard to find amiibo. Marth, Villager, and WFT; the Holy Trinity as they are called by their worshippers. I checked online retailers to see if I could grab them. No such luck. I then tried Ebay. They were available, but the prices were inflated. "I HAD MARTH AND VILLAGER IN MY HANDS!!!" I thought to myself, "I COULD HAVE SOLD THEM AT A PROFIT?!". The second wave of amiibo launched in December. At this point, people were wondering who the "rare" characters would be, but all I wanted was mah waifu Zelda. Or so I thought. After purchasing Zelda, I checked online to see how other people fared (Zelda is as common as they come so I had nothing to complain about). I saw a lot of "Where's Little Mac?!" and "Is Captain Falcon even out yet?!" Indeed, the launch of wave 2 was a bit of a mess. And then word started going around saying Little Mac was completely sold out which led to people paying top dollar for him from third party sellers. A week or so after launch, people (myself included) were wondering about when Luigi, Pit, and Captain Falcon would be released. I thought Pit looked cool and by then I was trying out Palutena in the game. Days go by and I'm getting anxious. This is when my sanity slips. At work I begin calling major retailers. "Do you have any Pit amiibo in stock?" "We just got a shipment in a half hour ago! However, since we want to give people a chance to purchase them, I can't put them on hold. You'll have to make your way here to grab him." As someone who doesn't drive to work, I was stuck. I couldn't do a damn thing. 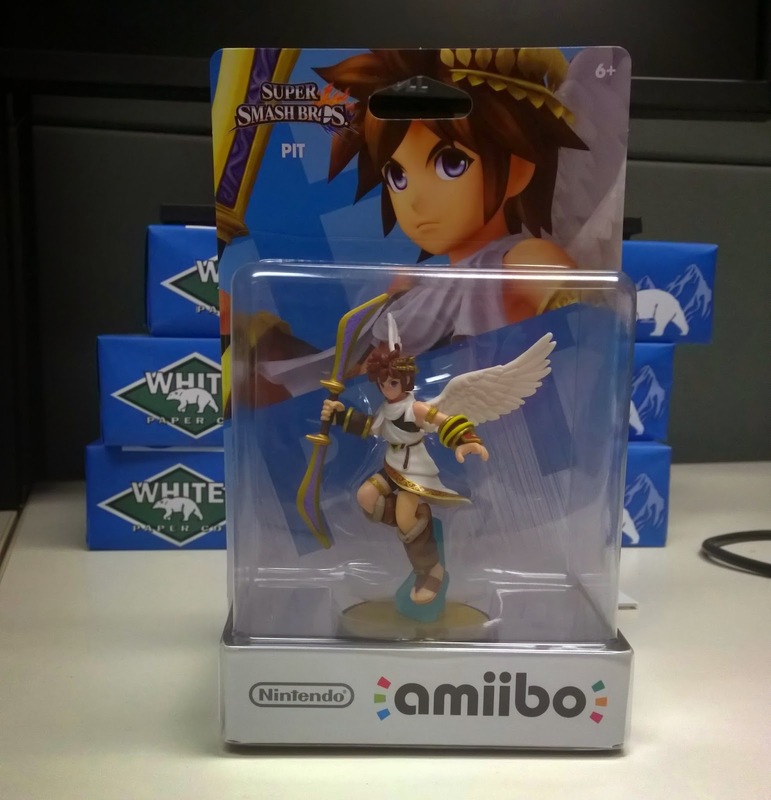 The possibility of having a Pit amiibo flew out the window. Game over, man. Game over. I felt like I won some sort of hard-fought battle. A very first world hard-fought battle, but a struggle nonetheless. But of course during this time, Nintendo dropped an amiibomb on all of us in North America. Wave 3 was coming out in February 2015. Great! ...Right? Yes, that's great. Except two words diminished every amiibo hunter's excitement; Retail Exclusive.